Eldvar seems like a stereotypical fantasy world, inhabited by humans, pointy-eared elves, dwarves, and orcs alike; some of whom are skilled magic-users. But they all persecute the animal peoples, the wildlings, like Estin. North Charleston, SC, CreateSpace, August 2011, trade paperback $13.99 (452 pages), Kindle $2.99. The “what the hell is it, anyway?” clues the reader that Estin is unusual even for a wildling. He is the only one of his kind that he knows of … a prey animal, not a predator. Turning the broom over, the man swept the fruit into their hovel of a home, without taking his eyes off Estin. Once the last of the oranges was behind him, he flipped the broom over again and jabbed Estin in the chest with the bristles. Estin has grown up while hiding in the slums of Altis, a loner working for Altis’ criminal underworld run by Nyess. Estin is especially unfamiliar with the wildling tribes of the mountains north of Altis, since his tribe lived in the south. It all comes to a head for Estin when he senses that he has just become expendable to Nyess, and that Altis is no longer safe for him. 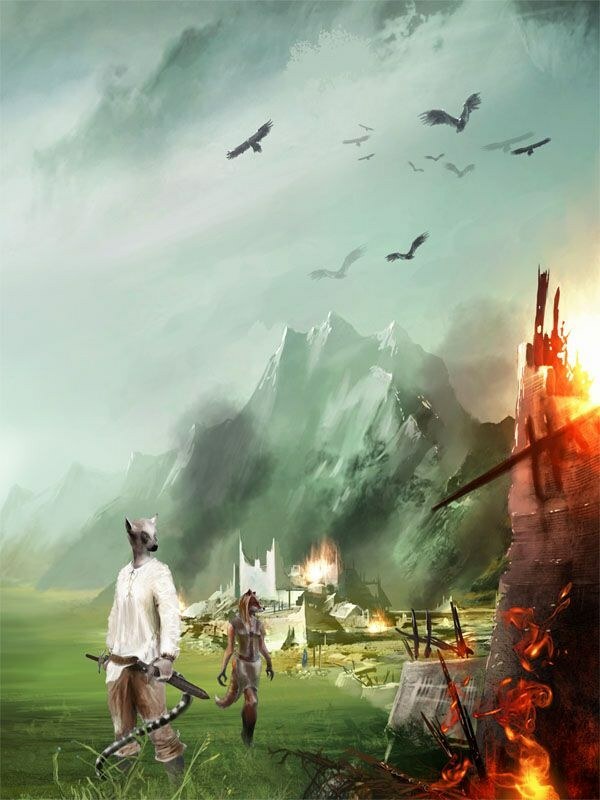 A final assignment takes him to the throne room of Altis’ duke, where he sees a wildling emissary, the fox-woman Feanne, betrayed and imprisoned. Betrayed himself, Estin rescues Feanne so they can help each other escape Altis. As they progressed, Estin sniffed the air, trying to learn what was around them, if only to distract him from the nausea he was suffering. He recognized the pines, but a thousand other scents confused him and blurred together. Some were likely flowers, some animal, some he simply had no idea. Having not left the city in so many years, everything out here was alien to him, drowning his mind in new scents that he had no way to sort out. Estin hurried outside, stumbling as he emerged into blazing sunlight. He stood there a moment, letting his eyes adjust, but when they did, he barely believed what they showed him. Wildlings were everywhere. Ulra and another bear were off to one side of the forest clearing, dragging dead wood the size of small trees in from the tree line, likely for firewood. Several wolves – including Ghohar – were scattered near the wood line, patrolling the camp’s edges for intruders. He spotted several other breeds running around, but they were there and gone so quickly, that he had a hard time identifying them. Jim Galford has a website, and he has given several interviews. These contain much background information. Galford is a Colorado-based computer system administrator, and his world of Eldvar was created for the CoreLARP game system. In April 2011 Galford underwent spinal surgery, and during a long bedridden convalescence he put some of the Eldvar background into this novel. 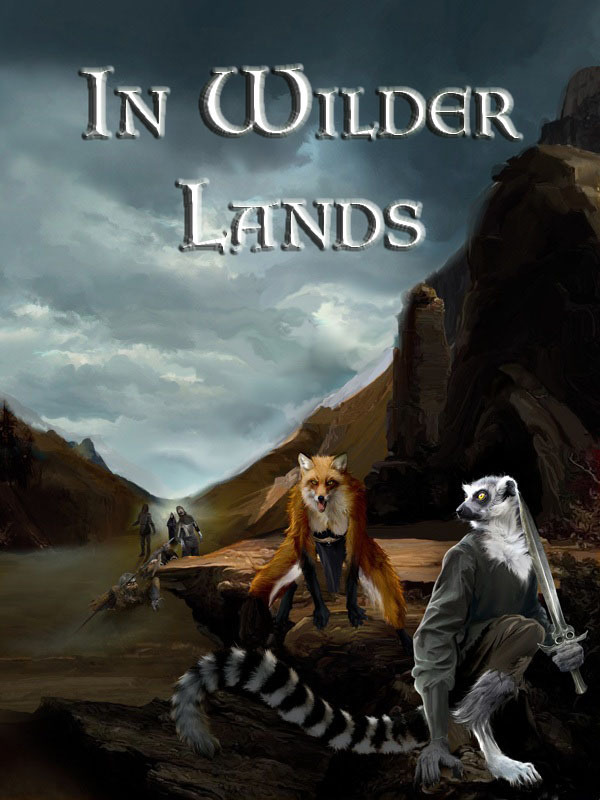 Since most of the novel is set in the mountains above Altis, Galford based most of its wildlings on the mountain animals around Colorado, except for the outsider Estin. Estin is based on a ring-tailed lemur. 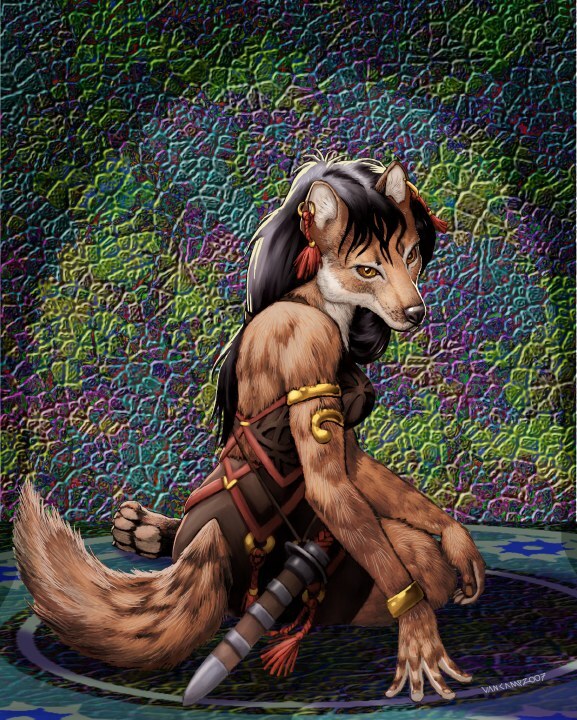 Feanne is based on a fox, Ulra on a bear, Alafa on a deer/elk, and so on. Galford’s first draft of In Wilder Lands was over 200,000 words, which he was persuaded to edit down to about 150,000 words/452 pages. He has lots of material for a sequel and for other novels set in Eldvar, not all of which will feature the wildlings. If they are all as good as In Wilder Lands, readers will look forward to them even without wildlings. Too long; will read later. On a whim I picked up the ebook version and turned out being pretty decent. The writing is clean and very few unnecessary details for given scenes are included. The characters are unique, likeable, and show a good deal of growth. The plot is never pulled out of nowhere and never left me wondering what the hell is going. I do have some problems with the book, however. The biggest issue is that the book feels like it is written within a role playing game, and as it turns out, it is. Due to this there is very little fantastic in the book's world. Magic is very prevalent and life and death seem inconsequential until the later portions of the book. This wouldn't be so much of a problem if the author described some of the impacts this would have. For instance, necromancy being a known threat should lead to funeral customs that involve burning the dead. Since magic has no noticeable impact outside of the main characters, it seems like an deus ex machina plot device to save those characters. My second and third issues are character depth outside of the two main characters and the internal narration at the beginning of each chapter. The former can't really be helped with this kind of story without each character getting their own "time." The narration at the beginning of each chapter should have been excluded and the details with in them "shown" throughout that chapter. In other words, the author doesn't trust the reader. I do hope the author fixes these problems in the next book, because I did enjoy this book quite a bit. Thank you for saving me the trouble of buying and reading it myself. I never read anything based on a role-playing game. You are missing a good book, game-related or not. If Galford had not said so, I would not have known from the novel that it was game-based. I can see it from the excerpts now as well. I enjoyed the book, but it is blatant that the book is based on a role-playing game. Sorry to those who were a little put off by the game tie-in. That actually has gone away as of the second book, as the game had pretty low interest compared with the world in the books. As for the dreams...some love it, some hate it. I think I've gotten by far the most pro and con feedback on that element. Oh well, can't please everyone. i got this book not expecting anything from it but after i started reading it i never wanted to stop it is one of the best books Ive ever read. the plot is brilliant sometimes depressing but still brilliant i wold defiantly suggest it to fans of fantasy. Thank you very much, Anubis. If you weren't already aware, book two is also reviewed on this site and available on Amazon and B&N. Hope you enjoy that, too.